Program Goals for our Desking Workshop: Implement a Complete, Consistent and Effective Desking Process to improve sales and maximize gross profit on every delivery. Every dealer and manager reading this knows how to work a deal - that isn't the question or the problem. The problem is that with 4 or 5 managers working deals, you have 4 or 5 almost completely different desking processes and 10 or 15 salespeople who set up the negotiation completely different, too. Because you lack a process and training, you have some managers who cost you so much per deal, in one year they will cost you more than a full month's gross profit. Even if you're a one-price dealership, you need this class. Our goals in this course are to remind you how the deal should be set up from the curb to the commitment - then we'll teach you a consistent, simple, repeatable, customer friendly, 3-Pass Desking Process that when properly implemented throughout your sales and management staff, will increase your unit sales, your gross profit and your Customer Satisfaction Scores - immediately. There's no magic formula for turning a “deal gone bad” on the lot and in the commitment process, into a stellar deal with huge gross profit from a totally happy customer. To consistently increase your effectiveness at the desk, we'll take a look at exactly what you'll have to clean up in the sales process. Whether you implement a desking process or just keep working your deals the same way you are now, if you and your salespeople will eliminate these 26 common mistakes, you'll immediately deliver more units at higher gross profits. Old Habits Die Hard. Desking and negotiations are almost always about price, but price is #16 on your customer's list of buying motives. Sure it's important, but first comes things like vehicle type, seating for 6, rear entertainment system, AWD, back up cameras, 22" wheels and a ton of other features. Same in the office, price is what almost every manager focuses on when they're desking the deal, but in the end over 90% are OK'd or rejected based on the terms (down & payment), not the price. You'll learn how to rephrase price to budget in the negotiation and how to refocus price and trade back to down and payments. Every stage in the selling process, from their greeting at the curb through the transition into Finance and then on to a delivery, is part of a process. And how your salespeople Close the sale to get their Commitment to Purchase will make or break your chances of selling a vehicle or of holding much gross. We'll teach you the correct way for them to close, to set up an effective Negotiation. What's The Desk Manager's Job: to ‘Approve', or ‘Improve' the Gross? Most managers have never been taught how to properly work a deal for maximum gross. So most start the deal the same way by asking the salesperson "What do they want to do? ", or "What do you have?" Your first step in desking deals for more deliveries and maximum gross is to implement a consistent process that every manager follows, every time they work a deal. Aren't those your goals; a simple process that works to generate more deliveries at maximum gross profit, that your customers will appreciate? We'll teach you a simple 3-Step Process: 1st Pass - pull the maximum numbers from their Kitchen Table Budget. 2nd Pass - go for the gross. 3rd Pass - wrap it up and get a final bump. People don't dislike Negotiation, they just hate negotiating with amateurs in sales and with a sloppy, slow process from management. 90% of your customers walk on the lot with their "target goals" on price, what they want for their trade, how much they want to put down, and where they'd like to keep their payments. They have a range, from their "hope to" figures to the "maximum" they feel they can afford. Most managers end up working deals from their lowest ‘hope to' numbers and miss sales every day and leave gross on the table on every delivery. We'll show you how to start every deal at their maximum figures - and how to work your way up from there. To finalize this deal, your salespeople have to get a commitment, sit the customer down, make them comfortable, start the paperwork, get the trade appraised, get their payoff, complete the customer information, Negotiate with the 3-Pass Process, then shake hands and head to Finance. No rushing and no pressure, we'll just teach you how to implement an effective process so you can manage every part of this deal to keep it moving forward to complete everything in 30 minutes or less with maximum gross profit. We'll also teach you how to train and coach your salespeople throughout every part of the desking and negotiation process. With your new process and their new skills, you'll turn almost every write up you get into a delivery today. Increase Deliveries And Gross! Call (800) 445-6217. I am a Floor Manager at my dealership and I just returned from Joe Verde's Desking Workshop and that darn class taught me so much that I came back with an arsenal of great skills and ideas that I have implemented. We have a new culture and everyone is working to perfect the 8 steps of the sale now, and when we work a deal, the process is faster. In less than 30 days, we're already seeing more gross on the front end and on new and used. New is up over $150 per unit and used car gross more than doubled. The changes we made are a result of the education I received and they are having a huge impact. I would recommend all managers take part in this great workshop experience! I am not just a Sales Manager who works deals, conducts meetings, establishes schedules, desks deals and performs all the other necessary challenges that are part of my responsibilities at the dealership. I also am a mentor and coach for training, and I believe 100% in the skills and processes you teach. I constantly advise my sales staff that building value in the dealership and taking time to investigate the customer's needs are the most important steps in Joe's selling process. My staff spends at least 30 minutes on Investigating! When we came on board with JVTN® and workshops, we boasted a 25% - 30% closing ratio. We are currently at a 42% closing ratio and our next goal is to jump to 48%! Thanks Joe, for helping us change our culture with JVTN®, by giving us unlimited skills to improve. After your Desking workshop we started implementing your 3-pass negotiation process, and in just one month we've broken the ceiling we have been at for 4 years. Our front and back end gross has increased $400 per unit. We're selling 300-350 used cars per month so that's an extra $140,000 in gross per month and a little over $1.6 million a year. We are on pace for a record first quarter! I am ecstatic and my sales team is on fire! Thanks Joe for making it easier to get more deals bought, improving our bottom line and changing our lives! LOOKING TO INCREASE PROFITS WHEN DESKING DEALS? Are you losing deals because they weren't set up right? How many are set up correctly with a firm commitment to own before the negotiation even starts? 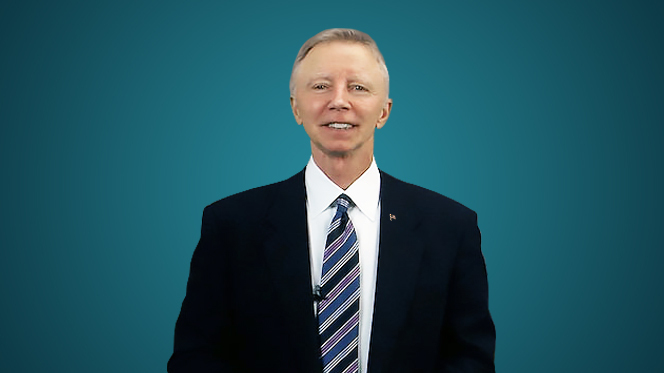 Hear more about Joe's 3-Step Process that managers and salespeople can both follow to close more at a higher gross...Learn more now. Develop a one-price mentality – sticker! It's easier than you think...Contact, call or email us to learn more.